Mark your calendars for November 14 to join in a world-changing day in 11 cities with workshops, seminars and events designed to create gender parity in leadership by 2025. Winnie CEO and co-founder Sara Mauskopf solves her own problems --and yours--with this startup. Images, advertising and branding change when women lead. Stay informed and learn everything you can from vetted sources on important social justice issues for women. Repeating misinformation and inaccurate facts erodes credibility. See who is a veteran lister and who is a newcomer on the new Fortune's Most Powerful Women List for 2017. Strategies to fight sexism in tech. A study looks at sexualized images of women in advertising. Michelle Gass joins a very, very small club of female CEOs. Meet the female U.S. Air Force missileers who control and monitor the nuclear missiles. Storytelling is an effective tool in leadership. "My dad told me, 'There’s no such word as can’t. If you think you can’t do something, you’re just not trying hard enough.'" * 25 virtual webinars, interactive workshops and salons in more than 11 U.S. cities. You can launch your own event and be part of Powertopia. 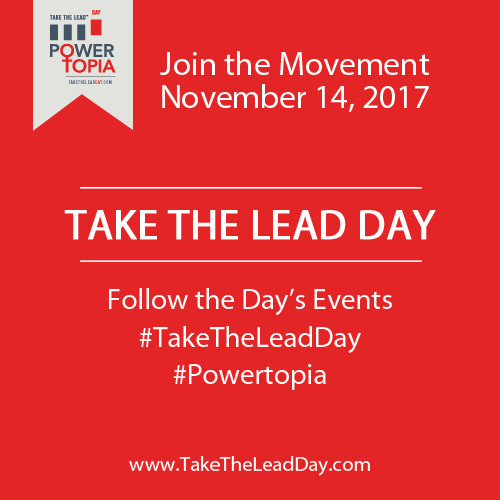 Join Take The Lead Day as an opportunity for you -- and every champion of women’s equality across the world — to participate together in a global day of action to ensure women have the practical skills, knowledge and confidence to take their fair and equal share of leadership positions by 2025. 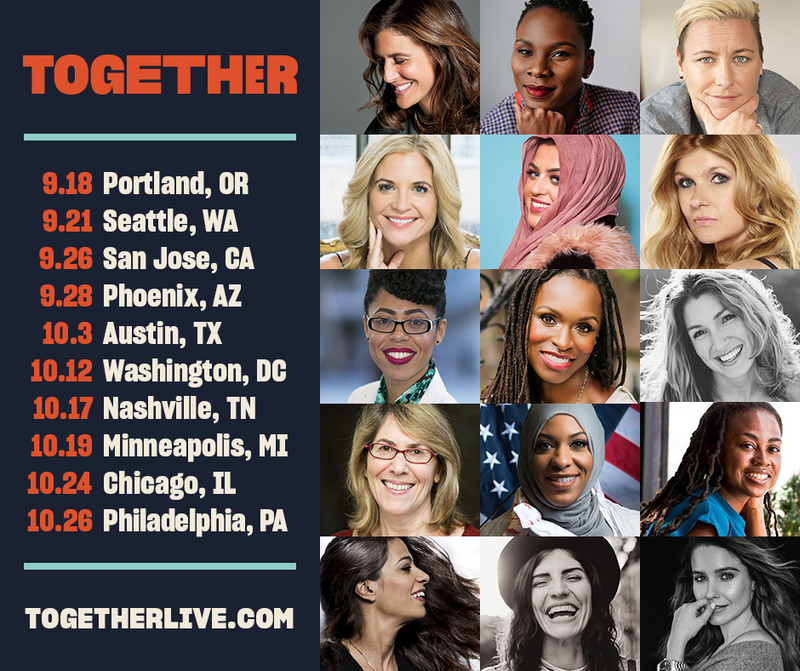 Take The Lead is excited to partner with Together Live to bring you discount tickets for an incredible 10-city event headlined by Glennon Doyle, Abby Wambach, Luvvie Ajayi, emceed by Jennifer Rudolph Walsh and featuring thought leaders, local activists, artists, athletes and celebrity guests. You'll hear from earth-shakers, heroines and storytellers on finding purpose, overcoming fear, choosing love and making change. You'll leave asking questions about your own path, where you came from, why you're here and where you are going. Together Live is in 10 cities across the country through October 26. Use our special discount code MIGHTY and save between $5 and $10 per ticket in any city.